« How effective are Clinical Decision Support Systems? 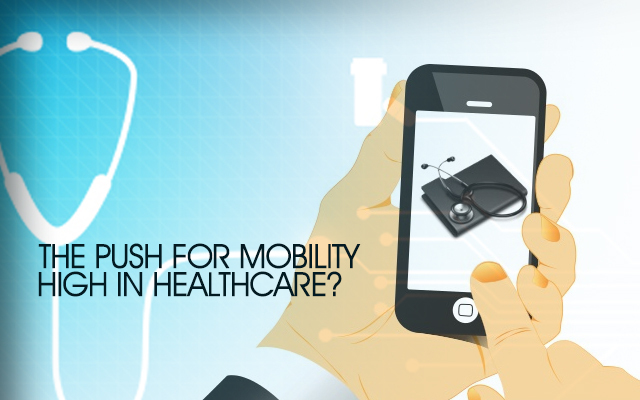 Why is the push for Mobility high in Healthcare? MHealth which is essentially delivery of healthcare services using mobile devices. Given the pace at which smartphones, tablets etc. have pervaded are day-to-day lives, it is normal to see the traction building around the mHealth industry. Use of mobility is expected to increase the time spent by Physicians to address their patients besides allowing them to take real time decisions. Their energies, a lot of which was earlier spent going through a large amount of paperwork, can now be entirely channelized towards providing care. But there seems to be something very essential which is missing in the manner in which the industry is shaping up. Currently, the number of companies investing in developing effective apps and gadgets is growing by the days. But what is missing unfortunately is the focus towards interoperability. Unfortunately, this is likely to lead to people to a state where they have to deal with multiple stakeholders to meet their needs – a state not very different from what it has been all throughout except that a lot of paper work/manual processes are going to be replaced by electronic processes. The use of Mobile health for delivering customized healthcare services seems to have significantly gone up. A case in point is that of apps being used for treatment adherence. It has been noticed that an individual’s belief system related to the illness and the prescribed medication determines the degree of adherence that a patient shows. Changing the belief system requires application of numerous psychological techniques. Mobile apps have been found to provide an effective channel for executing those initiatives. It has been noticed that information gathered during enrollment – which includes personal data and disposition towards treatment, and collected subsequently, provide matter that help in finalizing and implementing the correct interventions. Given the nature and seriousness of a disease there are also specialized apps available to track vitals aspects of patients with some allowing patients and physicians to hold video conferences. Healthcare providers have always had to jostle with issues related to communication. Paper work made it the most difficult. Advent of electronic systems reduced the problems to a considerable extent as the stakeholders were not anymore expected to physically carry or reach out to artifacts to get the required information. However, mHealth took things to a different level altogether. Since Physicians and other hospitalists are required to be mobile, usage of devices which could enable them to access information on the move increased their productivity tremendously. Given the volume and the dynamic nature of healthcare data that gets generated and needs to be transmitted, mHealth makes it possible for anywhere access to relevant data with high reduction in the chances of error. Among devices, Tablets, owing to the larger screen size are favored by physicians. It offers them with outmost convenience to view and analyze reports and images. The important thing to keep in mind while providing mobility solutions in the healthcare industry is that, there is a high level of intersection between the needs at the end user level and at enterprise . The benefits accrued at the enterprise level have a rub off effect on the end users. For e.g. improvements made in efficiency and quality of care through the right mHealth interventions at healthcare setups result in better safety and care outcome for the patients. You can hire developers from top Healthcare software development companies in india who can help you build mobile apps within allocated budgets and time schedules. We provide Medical software development services. If you would like to discuss with a certified healthcare software developer from our team, please get in touch with us at Mindfire Solutions. This Post was posted in Health Care and tagged Clinical software development, Customize EHR system, develop clinical information management systems, develop computerized physician order systems, Develop Electronic Medical Records, develop hipaa compliant patient portals, develop medical billing software, develop medical e-learning solutions, Develop medical practice management software, Develop medical practice management system, EMR EHR Software development, emr software development india, healthcare software development, healthcare software maintenance, hire healthcare software developers, internet-based medical billing software development, iphone medical app developers, offshore mhealth development, outsource mhealth development, web-based practice management system development. Bookmark the permalink.